In the late Winter of 1927, Neils Bohr went skiing for a few weeks in Norway, during which he analyzed the puzzling situation in quantum mechanics in deeply philosophical terms. In the previous two years, Max Born, with his clever students Werner Heisenberg and Pascual Jordan, had developed the quantum mechanics of material particles. They had derived most of the results of Bohr's old quantum theory, eliminating his idea of semi-classical orbits but confirming Bohr's "quantum postulate of stationary states with electrons "jumping" between them, radiating energy with E2 - E1 = hν, following Max Planck's hypothesis about the quantum of action. And just the year before, Erwin Schrödinger developed an alternative "wave mechanics," which he showed gives exactly the same results as quantum mechanics, but without some of the major assumptions in Bohr's earlier work, which had been adopted also by Heisenberg. In his 1929 textbook, Heisenberg dubbed their work "Der Kopenhagener Geist," many years later known as the "Copenhagen interpretation" of quantum mechanics. Where Bohr and Heisenberg described the stationary states with arbitrary quantum numbers, Schrödinger showed quantum numbers emerge naturally from the number of nodes in his wave function that could fit around an electron orbit (an idea that Louis de Broglie had proposed earlier). The dualistic view that matter might consist of either particles or waves (or maybe both) must surely have inspired Bohr to think about complementary relations, but there are strong reasons to think that he might not have wanted to identify his complementarity with Einstein's ideas about "wave-particle duality". Bohr may never have completely accepted Albert Einstein's idea that light itself might consist of particles, since quantum particles are complements of classical waves. In 1905, Einstein had proposed his "light-quantum hypothesis," that light came in discrete and discontinuous quantities, something like Newton's "light corpuscles." In accordance with the assumption to be considered here, the energy of a light ray spreading out from a point source is not continuously distributed over an increasing space but consists of a finite number of energy quanta which are localized at points in space, which move without dividing, and which can only be produced and absorbed as whole units. As obvious as it is today that Bohr's hν is a "photon" (as it was dubbed in the middle 1920's), Bohr thought that the radiation emitted or absorbed was continuous and classical electromagnetism. It is not clear that Bohr had completely accepted photons and the dual nature of light even as he formulated his philosophical notion of complementarity in his "Como Lecture" of 1927. He seems to have accepted it in 1949, in his tribute to Einstein. Einstein had written as early as 1909 that the wave theory of light might need to be augmented to explain his particle-like properties. When Bohr returned from his skiing vacation, he received a draft paper from Heisenberg claiming that some physical variables might be measured precisely, but then their canonically conjugate variables would have a very large error. This is his famous "indeterminacy principle." If a momentum measurement has accuracy Δp and position accuracy Δx than the product of the two indeterminacies is Δp Δx ≥ h, where h is Planck's constant for the quantum of action. Bohr asked Heisenberg to include his notion of complementarity, and perhaps his derivation of indeterminacy from pure wave-mechanical considerations, in his new paper. This upset Heisenberg greatly, because he thought that Schrödinger's "wave mechanics" added nothing to his particle-oriented "matrix mechanics." Bohr thought both were needed. Though somewhat contradictory, they were his first example of "complementarity." Definitions of complementarity today almost always include wave-particle duality, but Bohr was so vague about the precise meaning of his term complementarity when he introduced it in his 1927 "Como Lecture" that it is confusing to this day. One thing he did in the Como Lecture was to argue that both Heisenberg's discontinuous and indeterministic particle picture and Schrödinger's continuous and deterministic wave picture were both needed in quantum mechanics. The theories themselves, matrix mechanics and wave mechanics, are "complementary." Almost no one, least of all Bohr, gave credit to Einstein, for his 1909 insight that both wave and particle pictures needed to be fused, or to his views in the early 1920's that the wave was a "Gespensterfeld" (ghost field) that guides the particles. Ironically, and unjustly, to this day the "Bohr atom" is taught as discontinuous "jumps" between energy levels accompanied by the emission or absorption of a photon, whereas Bohr fought against Einstein's light quantum hypothesis for decades. Einstein developed the quantum theory of radiation, explaining emission, absorption, and the radical hypothesis of "stimulated emission" (that led to the invention of the laser) in 1916! But it is Bohr's name most often cited. Bohr claimed that an experimental apparatus must always be treated as a classical object and described using ordinary language. He thought that specific experiments could reveal only part of the quantum nature of microscopic objects. For example, one experiment might reveal a particle's dynamical properties such as energy, momentum, position, etc. Another experiment might reveal wavelike properties. But no one experiment could exhaustively reveal both. The experiments needed to reveal both are "complementary." Bohr's first definition of complementarity in the Como lecture somewhat opaquely contrasts the "space-time coordination" with the "claim of causality." This situation would seem clearly to indicate the impossibility of a causal space-time description of the light phenomena. On one hand, in attempting to trace the laws of the time-spatial propagation of light according to the quantum postulate, we are confined to statistical considerations. On the other hand, the fulfilment of the claim of causality for the individual light processes, characterised by the quantum of action, entails a renunciation as regards the space-time description. Bohr points out that in expressions like ΔE Δt = h and Δp Δx = h, we see both space-time (wave) variables x, t and dynamical (particle) variables E, p.
As mentioned above, Bohr thought Heisenberg's "uncertainty" could be an example of complementarity, because two different measurement apparatuses were needed to measure dynamical momentum and space-time position. Bohr notes that Heisenberg's derivation of his indeterminacy principle was entirely done with particles and dynamical variables. Bohr then proceeds to derive Heisenberg's relations solely on the basis of a wave theory (a space-time description). This must have embarrassed Heisenberg, who resisted at first but eventually completely accepted and promoted Bohr's view of complementarity as an essential part of the Copenhagen Interpretation (along with his own uncertainty principle and Born's statistical interpretation of the wave function). wave-particle duality was probably the proximate trigger, but Kant's noumena/phenomena was likely the original inspiration. And Bohr avoided referring to Einstein's years of work on wave-particle duality. 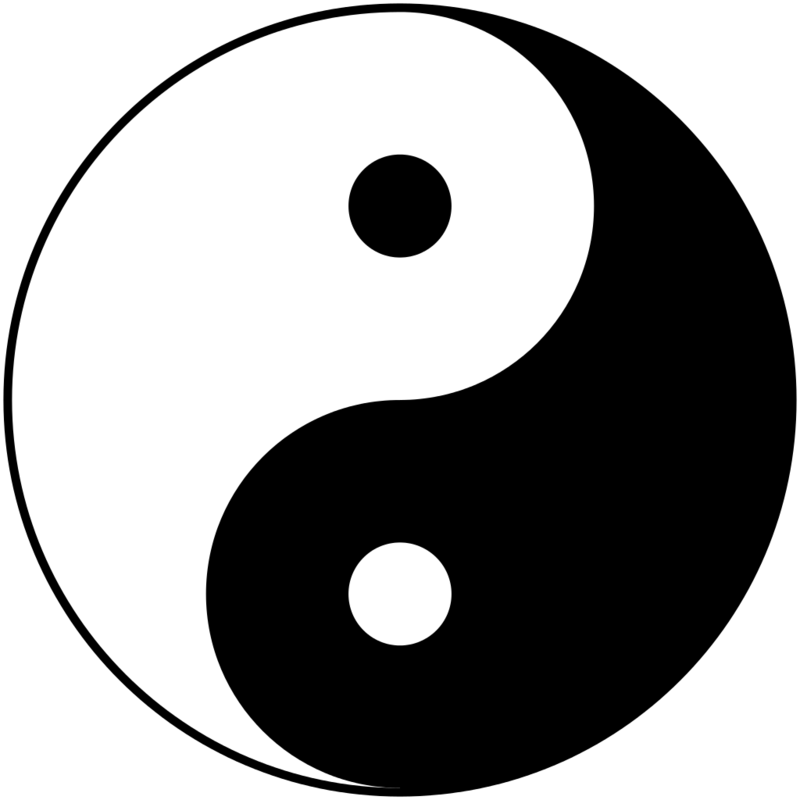 wave mechanics and particle/matrix mechanics as equally "true"
"creating physical attributes by measurements" vs."disturbing phenomena by observation"
"renunciation of the causal space-time mode of description"
the Eastern philosophy of yin and yang. "all quantum evidence must be expressed in classical terms"